Find the pepper radish too bold a taste? 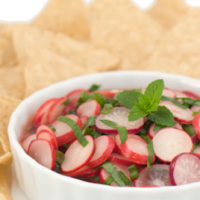 This refreshing Radish Mint Salsa recipe mellows out that radish with lime and mint to create a creative dip, salad, or roll. 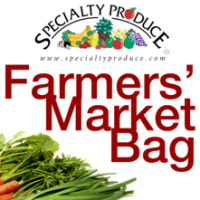 Check out the Farmer’s Market Bag from Specialty Produce! Plus I’ll show you how to make bacon that is vegan and raw! YUM!